Ooty or Udhamandalam is the capital of Nilgiris District. Located in North-West of Tamil Nadu, Ooty's pristine beauty is a traveler's retreat. The sensuality of this small hill station gets accentuated with a dash of bluish white charm enriching its enticing bliss. Located in the Nilgiris of South, the romantic charm of Ooty's surroundings - fragrance of eucalyptus tree or of exotic Kurinji flower offers a soothing relief to a travelers' spirit. Nicknamed as Snooty Ooty, the hill station offers pleasurable delights to roaming soul and an opportunity to soak scenic bliss. Main Attractions : :: Ooty Botanical Gardens, Kotagiri, Mudumalai National Park and Wildlife Sanctuary. Geographic : Located in the mist clad Nilgiri Mountains of South India is the famous hill resort, Ooty. 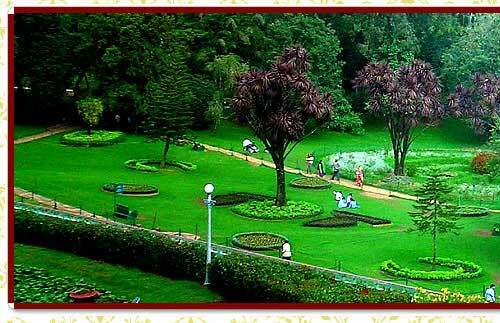 Famous for: Its scenic vistas, Ooty is locally known as Udhagamandalam. By Air : The closest air connectivity is through Coimbatore. By Road : Mysore - five hours, Bangalore - eight hours, Chennai - 15 hours. By Railways :: The famous miniature train runs between Mettupalayam & Chennai. Ooty, which is deep within the Nilgiri hills, is also known as The Blue Mountain retreat. It is unknown whether this name comes from the blue smoky haze given off by the eucalyptus trees that cover the area, or because of the kurinji flower, which blooms every twelve years giving the slopes a bluish tinge. Unlike any other region in the country, no historical proof is found to state that Ooty was a part of any kingdoms or empires. Tipu Sultan was the first to extend his border by constructing a hideout cave like structure. 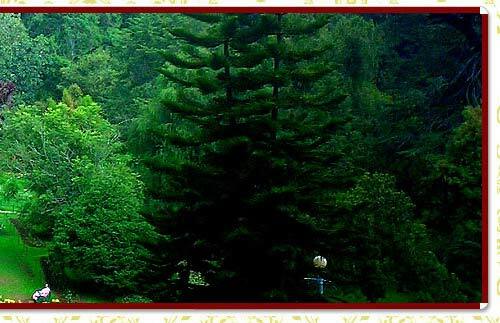 The untouched verdant beauty of Ooty is something to behold as part of Ooty tour. The Botanical Gardens was laid out in 1847 is lush, green, and well-maintained. A flower show along with an exhibition of rare plant species is held every May. The garden has a 20-million-year-old fossilized tree. One can find a diverse variety of flora, ranging from rare trees (like the cork tree, the paper bark tree, and the monkey puzzle tree), flowering bushes and plants, ferns and orchids. Another major attraction is an Italian-style garden bordering a pool. Kotagiri is situated at an elevation of around 1793 m above sea level is bounded by verdant green tea estates and offers a number of trekking options. Catherine Falls, Elk Falls, Rangaswami Pillar are the major attractions near this place and you can trek to these places. Kodanad View Point offers a spectacular view of the gentle sloping hills and blue hills. There is another jungle trekking trail that leads you to a small stream of water. The three popular trekking trails are Kotagiri - Kodanad; Kotagiri - St. Catherine Falls and Kotagiri - Longwood Shola. The reserve, also declared a Tiger Reserve, lies on the northwestern side of the Nilgiri Hills (Blue Mountains). Mudumalai, which means 'first hills', is one of the first wildlife sanctuaries established in India. Here one can often spot herds of endangered Indian elephants, vulnerable Gaur, and Chital. The sanctuary is a haven for Bengal Tigers and Indian Leopards and other threatened species. There are at least 266 species of birds in the sanctuary, including critically endangered species like the Indian White-rumped Vulture and the long-billed vulture.